Jessica Klug (Esther Maria Pietsch) is a young and obstinate cello student preparing for a major performance. 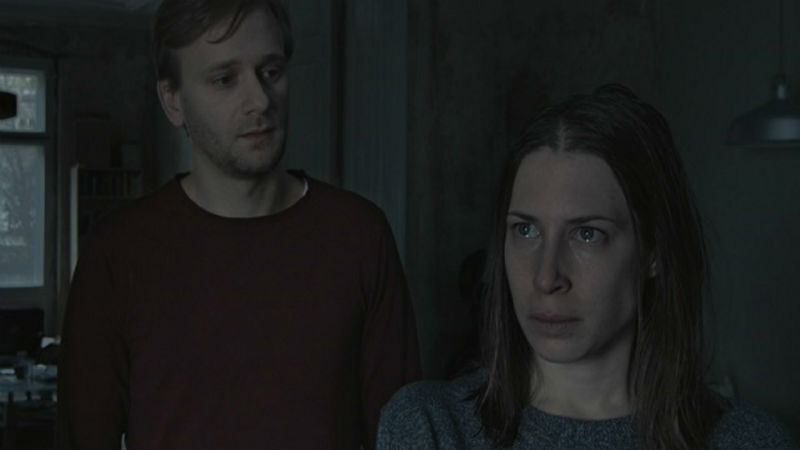 She moves into a new flat with her devoted boyfriend Lorenz Amman (Matthias Lier). She needs peace, quiet and privacy in order to rehearse for what feels like a watershed event in her life. 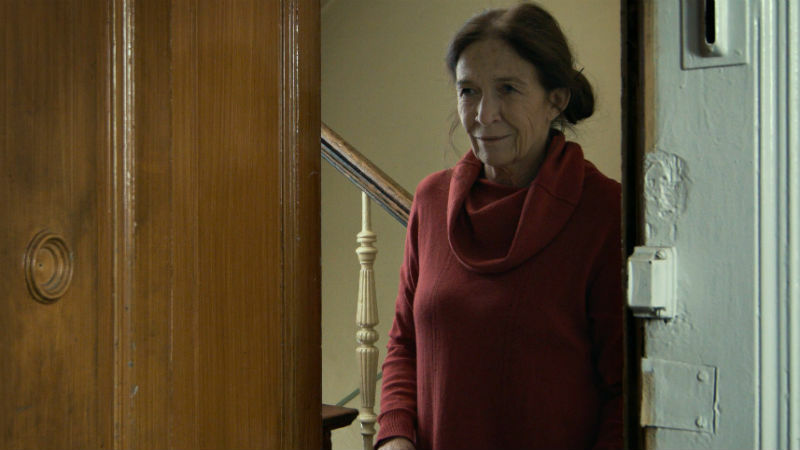 But her nosy neighbour Hilde Domweber (Tatja Seibt, pictured just below) keeps making unexpected appearances, and very strange things suddenly begin to happen. Homesick is a very well-crafted psychological terror movie. The young Austrian director Jakob M Erwa’s borrowed elements from his countryman Michael Haneke and the French-Polish master of suspense Roman Polanski. The ambiguous gaslighting of Rosemary’s Baby (Polasnki, 1968) prevails throughout the movie. Are Jessica’s neighbours and perhaps even her partner up to something truly evil, or is she just paranoid? The idea of the tormented music artist echoes The Piano Teacher (Haneke, 2001), while the fear of being observed may remind of Hidden (Haneke, 2005). Well, being in the land of Josef Frietzl and Natascha Kampusch, you’d be forgiven for being suspicious of what your neighbours get up to behind closed doors. The fact that most of the action takes place inside the flat makes the experience particularly claustrophobic. The tension builds up slowly with a number of subtle elements. Jessica has a weird black pet cat that’s mostly unresponsive, there’s an unnerving doorbell mysteriously going off, a whistling kettle and strange noises in the house which strangely blend with the cello riffs as Jessica rehearses with her headphones on. But then things begin to escalate, and there is some violence and a death or two . Plus someone sends undertakers to collect Jessica’s body when in fact she’s still alive. Who could possibly pull such a bad taste prank? The camera is mostly static and the settings are dark and bleak. A recurring image of the elderly Hilde on her window looking into Jessica’s flat is particularly creepy. You will feel trapped, scrutinised and even manipulated, just like Jessica, who predictably begins to have a mental breakdown. Pietsch is outstanding in conveying a sense of paranoia and vulnerability. And Seibt is marvellous as the creepy and overly attentive neighbour. Oh, and stay tuned for a dirtylicious at the end of the film! This is a very convincing endeavour for a filmmaker just 33 years of age (at the time the film was made). Since, Erwa has directed the LGBT romance Centre of my World (2017), but I think he’s far more effective with a creepy and disturbing script to hand. Homesick is out on DVD on February 12th.